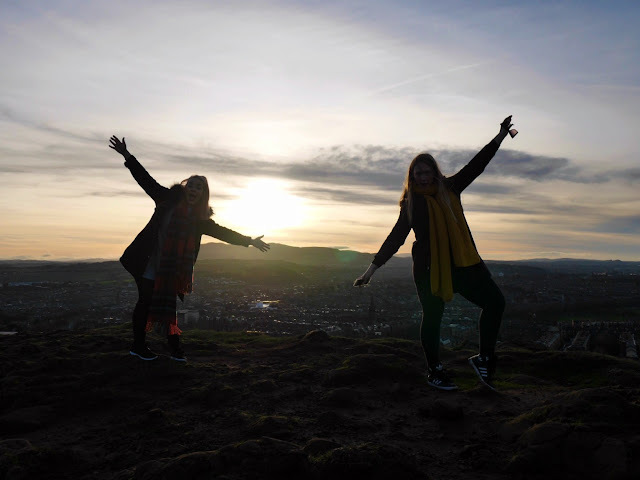 ok so maybe we didn't make it to the ~actual seat, opting instead to try our luck on the salisbury craggs at the start of holyrood park instead, but nevertheless, we ~climbed. 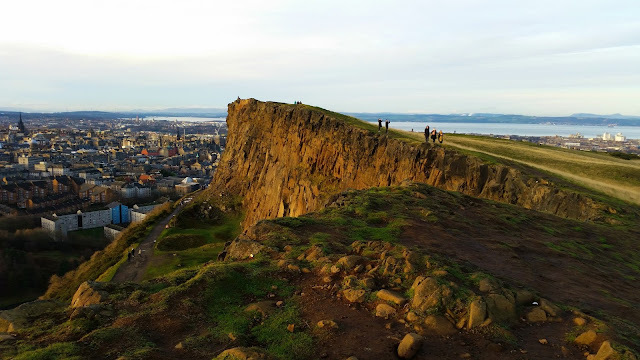 the view from the top of the local rock-climbing hub was incredible - especially as we had chosen the very best day of our stay for our climb, and we had beautiful blue skies as far as the eye could see (and fyi: the eye can see ~far!). getting to the peak took us no more than thirty minutes, and it was a relatively smooth journey up! there were a handful of paths up - of varying degrees of difficulty, but trust the well-worn one. and your instincts (getting down is another story. be more goat). tip: if you're going to climb the real thing, you'll be wanting comfortable and safe shoes, a bottle of water, and maybe some snacks if you just cannot figure out how to get down after. 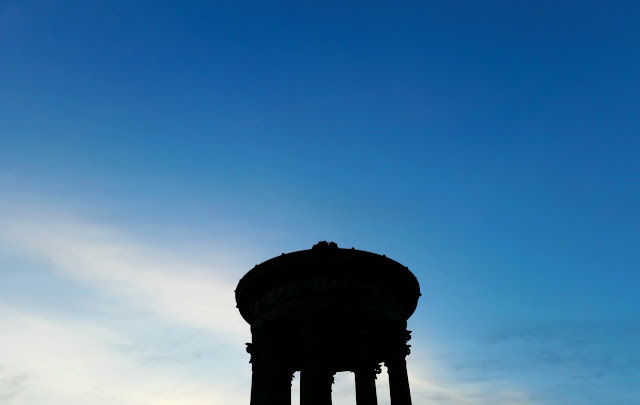 the real pros had walking sticks (and dogs) too, and the locals suggest you take a torch if you're going up after dark. there's no directions once you get there, so it's every climber for themselves! 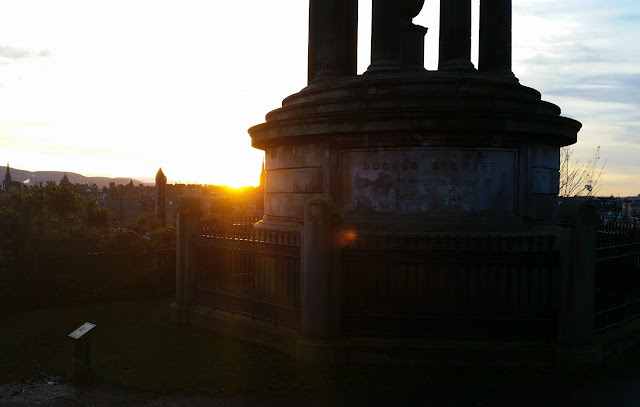 the city's number one spot for the perfect sunset-shot is calton hill. the internet would have you believe it's a twenty minute walk up, but let me tell you this: when you're racing the clock because of your own bad time-keeping-slash-lies-the-internet-tells-you-about-sundown, you can do it in as little as fifteen. there are stairs from the lower street level, then a small hill up to the national monument and the dugard steward memorial. 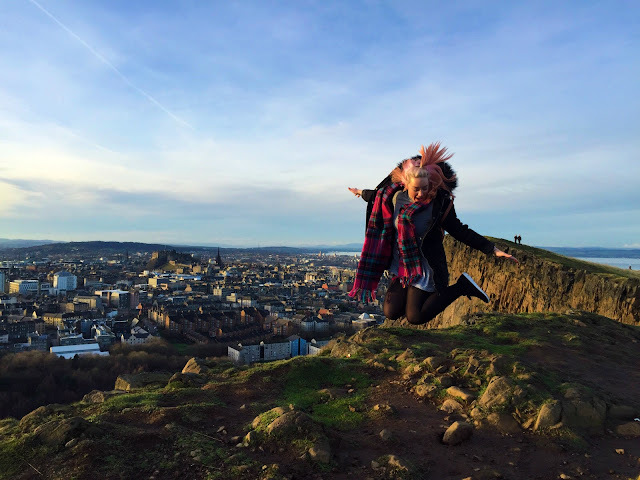 from there though, you've more panoramic views of the city, from the top of princes street and all the way out to the castle at the top of the royal mile. tip: plan ahead and get there early. 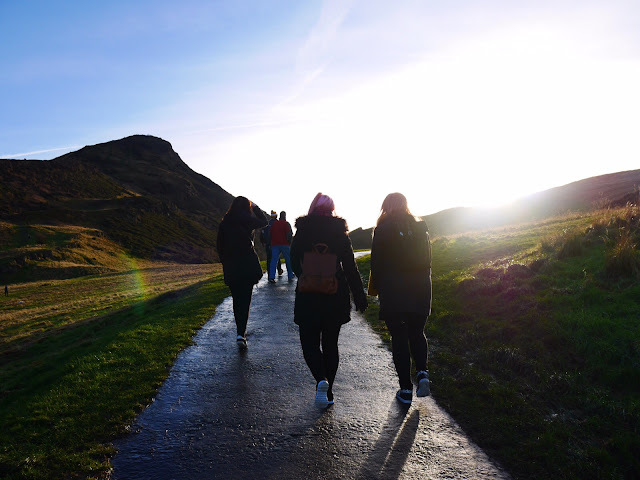 even in the dead of winter - and like, when sundown is before four pm, there will be throngs of people there dying to get the money shot that tourism scotland will want to use on their postcards from now until the end of time. 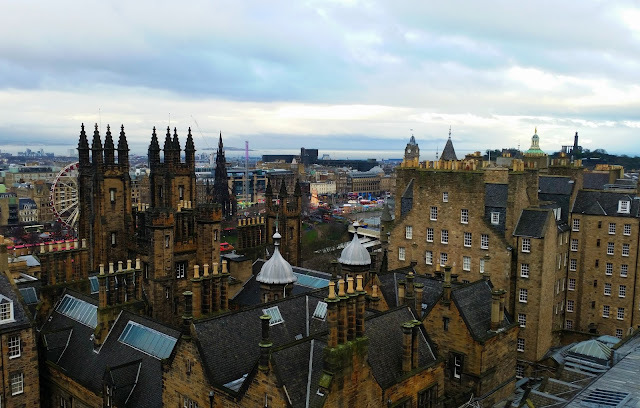 i suppose you expected to see me say that the edinburgh castle was the third amazing sight of the city, but it's not really. plus, it's super expensive and you can get the same view from the esplanade outside (though it's less interesting to be fair). 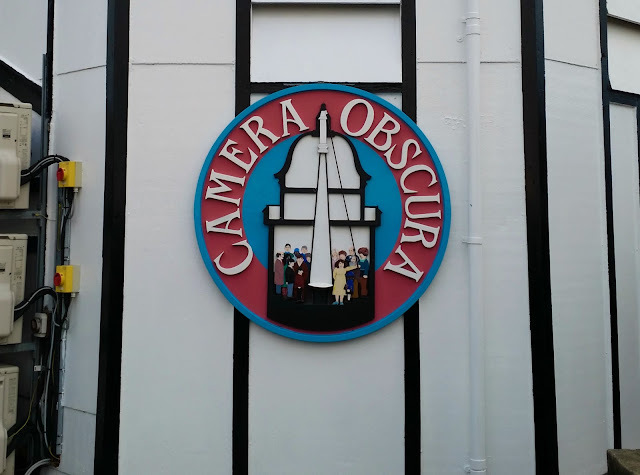 no, for me, the last great view of the city is at the camera obscura, and not least of all because of the six floors of fun that come along with the view from the top. 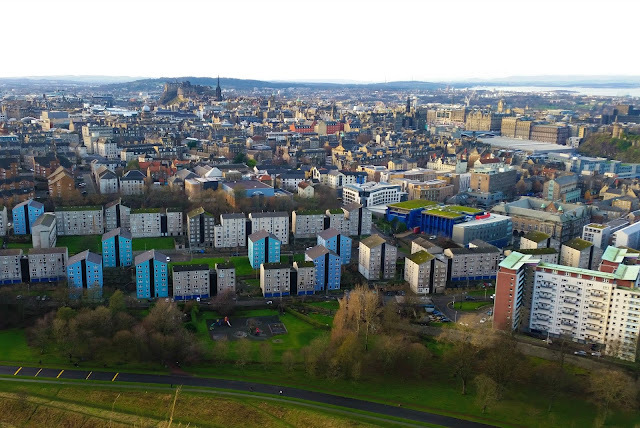 yet another panoramic view of ~most of the city (old st. giles' spire blocks out a vast chunk of arthur's seat) can be seen from the top, from the north sea right out to the mountain range south of the city. 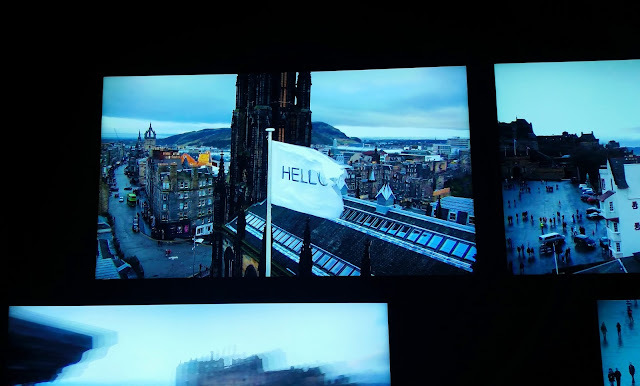 plus, the retro obscura showing every half an hour is an incredible way to learn a bit more about some of the buildings along the edinburgh skyline, and there's even a whole room dedicated to the history of the city inside the venue. 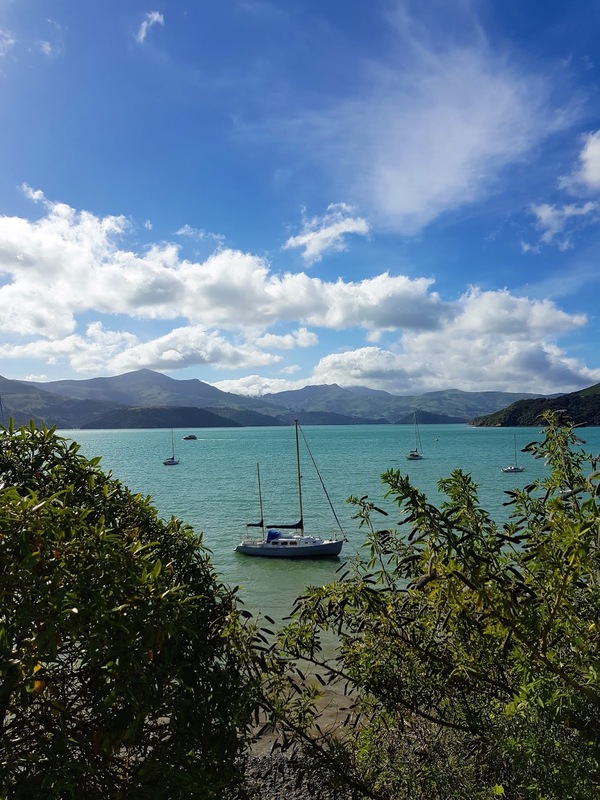 it's an easy way to spend a few hours, and the view is simply a bonus. extra creepy fun can be had playing with the cctv cameras on the fifth floor - wait until you see just how close up to people's windows they can get... hello there! 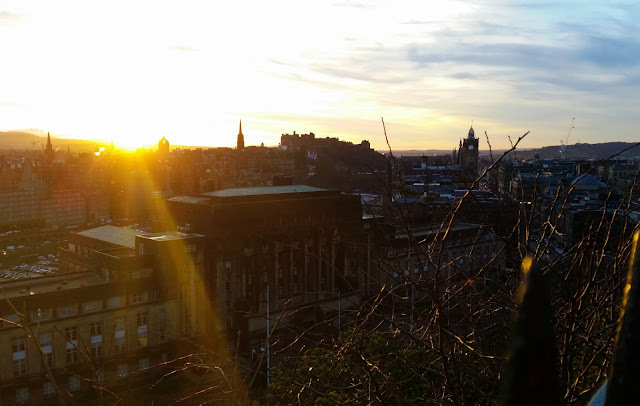 tip: it's edinburgh's finest tourist attraction (and comes highly recommended from derren brown himself), and certainly aimed at kids (or, kids at heart), so avoid school holidays or weekends where possible. 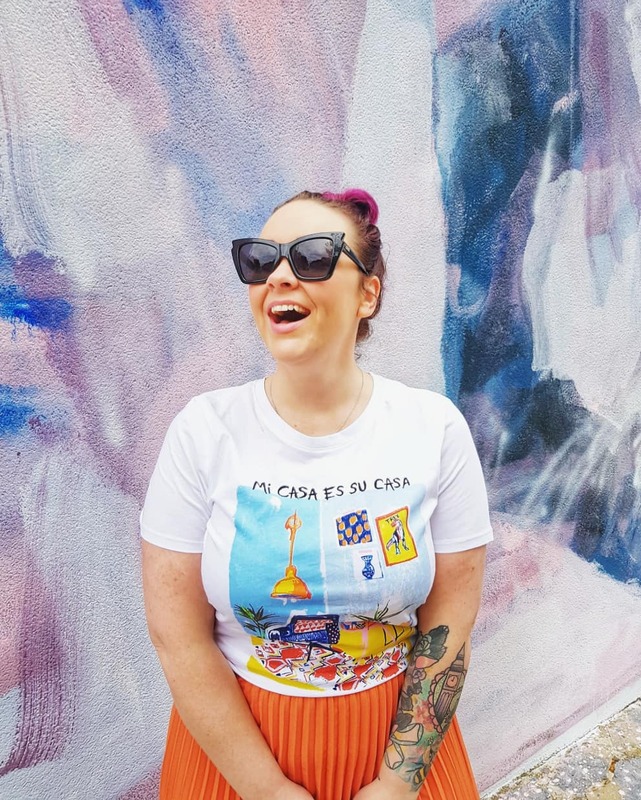 the toilets are located on level one of six, so go when you're there because there are no lifts - it's all stairs the whole way. also, there's an auto wed vending machine in the gift shop - it's hidden though, so do ask the assistant in the shop for access to it; it'll be the best quid you'll ever spend. my husband and i promise you that. 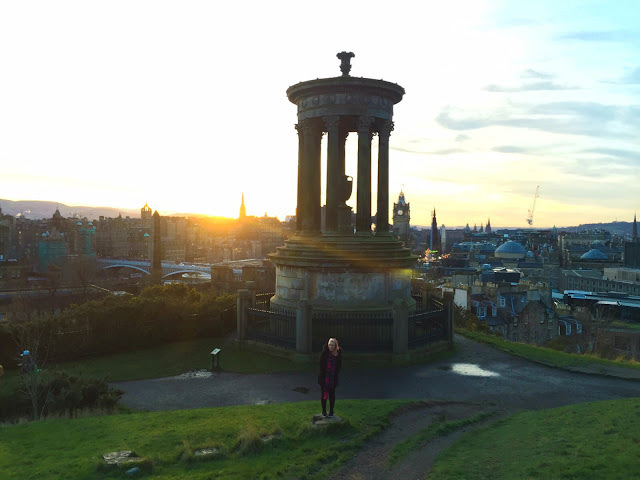 what are your favourite sights of edinburgh; i'd love to hear them!